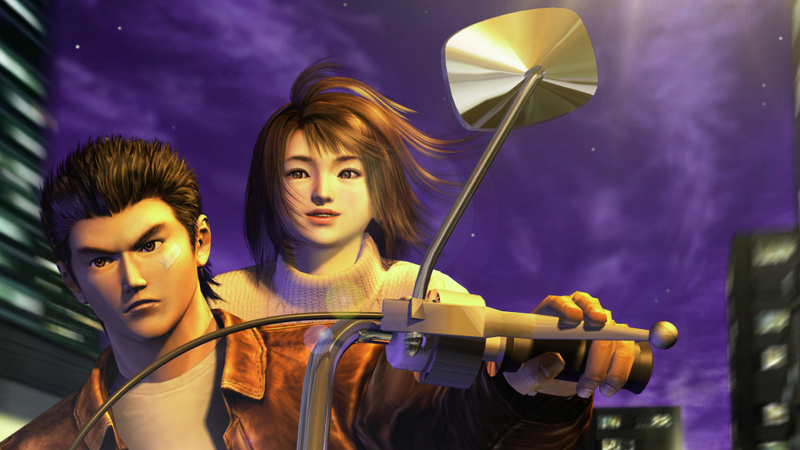 Sony is eager to bring SEGA’s seminal Dreamcast exclusive Shenmue to the PlayStation platforms. Earlier in the year it announced that it had constructed a new division designed to localise and oversee ports of popular third-party releases on its systems, and speaking with Kotaku at an event in New York City this week, publisher and developer relations executive Adam Boyes admitted that its internal list spans hundreds of games – and includes Ryo Hazuki’s ambitious excursion, as well as the likes of Yakuza 5 and Final Fantasy Type-0. He continued: “We get a ton of requests for Yakuza, a ton of requests for Shenmue. We see the list. We have a person that compiles those lists and prioritises based on how many requests that we've gotten. And I think to date that there's well over 10,000 mentions across forum threads and stuff like that. So those are the ones that we're focused on.” Boyes added elsewhere in the interview that we’d start seeing the results of the department’s labour fairly soon. “I would say within the next six months we'll have at least one if not a few announcements to make on that front,” he beamed. Whether or not we’ll see Shenmue ported to the company’s consoles remains to be seen – but we suspect that Yakuza 5 will be a lock at this point. It’s easily one of the most demanded games for the PlayStation 3, and while SEGA may not have been keen to localise this latest instalment, we suspect that it’ll be more than happy to let Sony pick up the slack. What other third-party titles would you like to see on PlayStation? Keep your requests coming in the comments section below. Wow, this new third party division could be very awesome! Lets hope Sony is able to get Shenmue, Yakuza 5, and that Yakuza game for PS4! W/ all the clamoring over the years for Shenmue it's really surprising it doesn't get remade as often as Crazy Taxi and Jet Set Radio. What are they waiting for? Yakuza 5 would be greatly appreciated. Final Fantasy Type-0 pretty please! Shenmue 1 and 2 HD, don't set the sales targets too high (like Square-Enix regularly do) and then give us Shenmue 3. Ok, then here's what you'll do. Bring FF Type 0, then ShenMue 1 & 2 remasters, then spill money on ShenMue 3, 4, and 5 (Yu Suzuki envisioned it as a 5 chapters). After that we can talk. One of my all time favorite games. I have on more then one occasion tweeted Sony and Sega regarding Shenmue, and I am thrilled to see they are listening to the fans of this incredible series. @rjejr : hope it's a case of "this is cool!" and not "changed my mind"
Monster Hunter portable 3rd HD nuff said. The only game that competes with shenmue for me is the fallout series. I believe many many people would buy a ps4 just for for another slice of shenmue. The first two installments covered chapters 1-6 of 11. I hope somehow they do manage to get the go ahead for a AAA finish but its very unlikely unless any updated 1 and 2 become stupidly popular. Here's hoping. Anything that says "ShenMue", I'm fine with that.